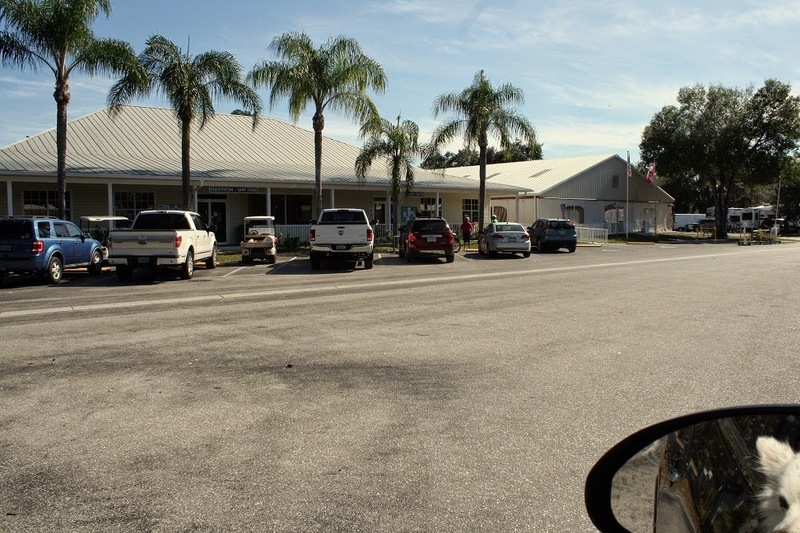 It took us about two hours to make the 90 mile trip from Riverside RV Park near Port Charlotte to Waters Edge RV Park about ten miles SE of Okeechobee. We went from a campground with 500 sites to one with 29 and containing the same managers and three rigs that were here last year when we were. As a refresher of this very nice park, here are a few shots that I took last year. 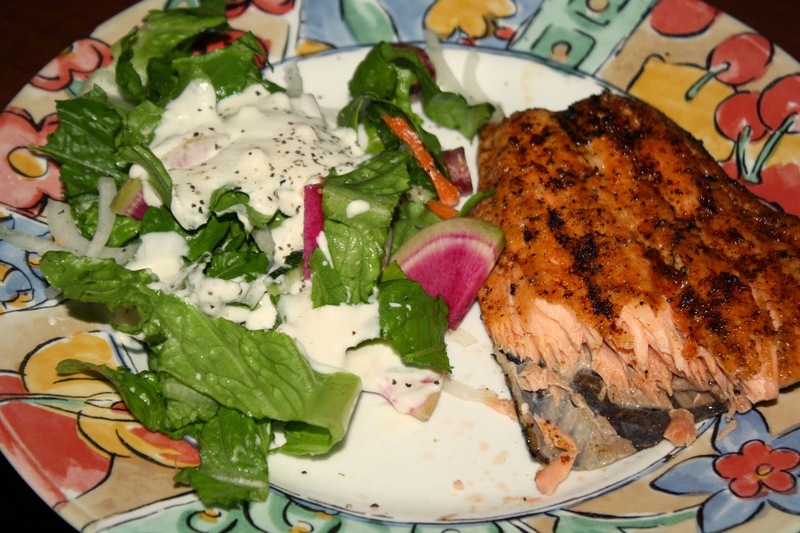 We brought some frozen King Salmon tail pieces from home that we had purchased in Wheeling WV at $7/lb. and there was a unanimous decision to turn it into salmon cakes (salmon patties in my family) using the recipe from our previous batch. Wow, how time flies as it had been July, 2011 when last we made them and I had saved the same Ina Garten recipe twice from fellow bloggers who had made them since then. After weighing the salmon and discovering we had two pounds, we decided to cook it all, eat half and use the other half for the cakes in a day or two. 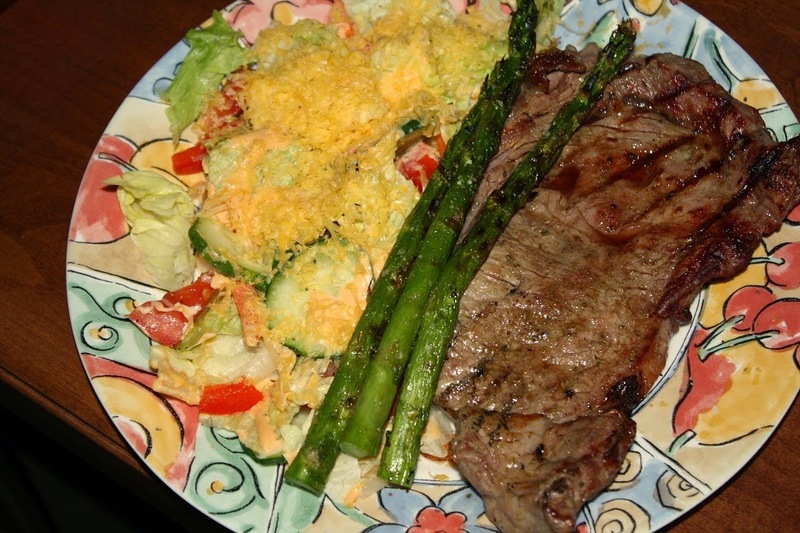 Since we had some blackening seasoning with us, we used it for the first meal along with some salad - note the watermelon radish. 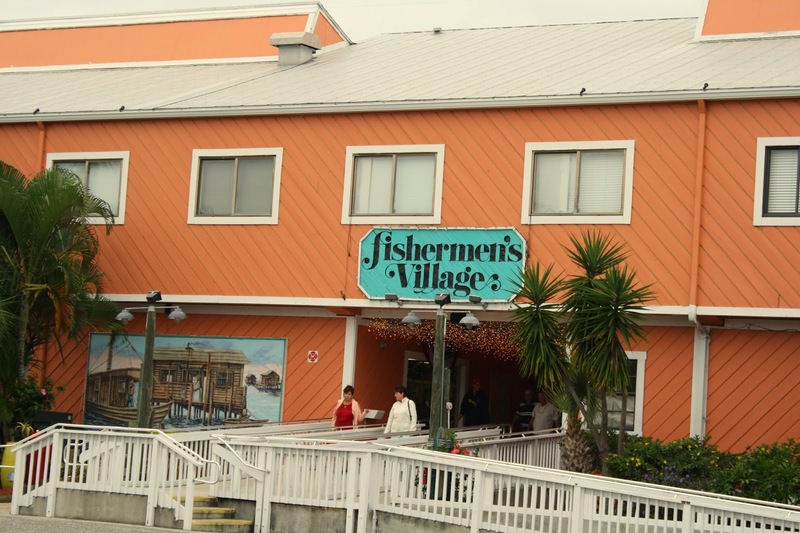 During our South Florida stay, Pat and Bev had been over to Fisherman’s Village couple of times to shop and eat and they wanted to be sure I ate at the Village Fish Market before we left town. 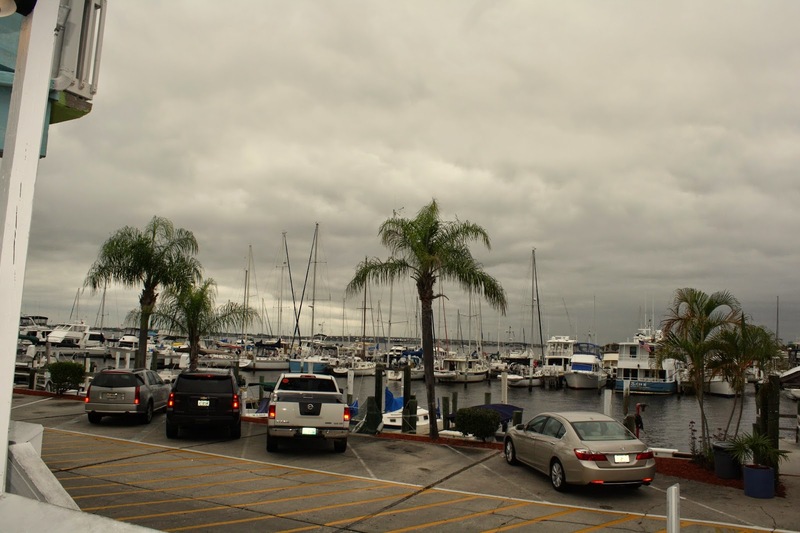 Fisherman’s Village is a pretty good sized open air mall located beside the marina in Punta Gorda with the first floor lined with shops and restaurants and the second floor occupied by vacation villas. 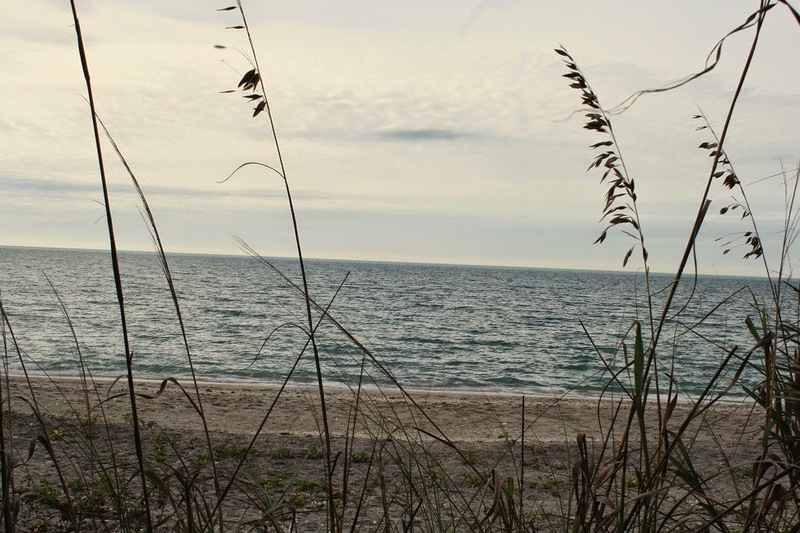 Even though we were near Port Charlotte, it was still about a 25 mile drive over to the nearest beach at Englewood, FL and since we can’t come to Florida without at least seeing the water, off we went. It was a sunny, 80 degree day and the public beach was pretty well full of sun bathers – Pat and Bev checked it out while I got a shot of them. These shots are further north in a low populated area. 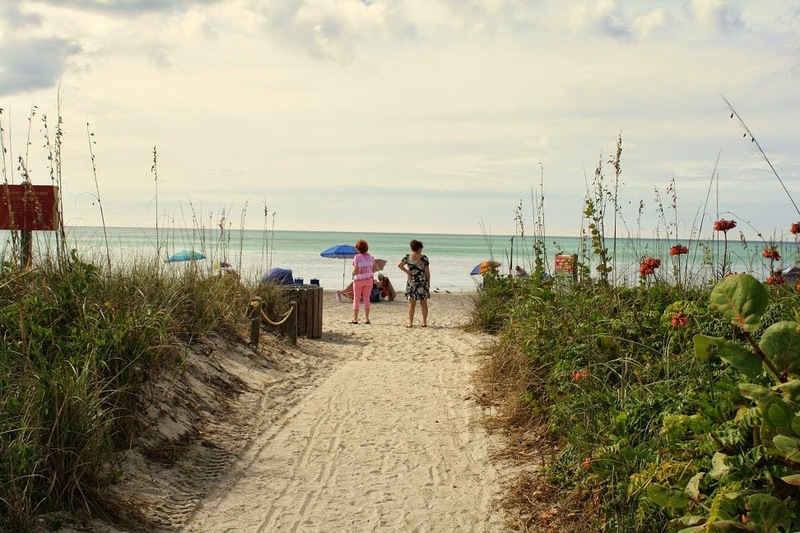 When we come to southwest Florida, we try to meet up friends and fellow bloggers, Meakin and Sam (My Carolina Kitchen) and this time, we invited them up to the campground for an afternoon of shellfish. 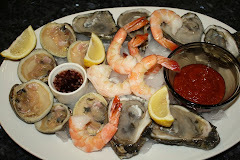 We brought some very fresh clams and oysters with us from Cedar Key and bought some shrimp locally for Pat who eats neither of the molluscs. But before we get into this further, even us seafood lovers need a break so we whipped this up on the grill the previous evening. 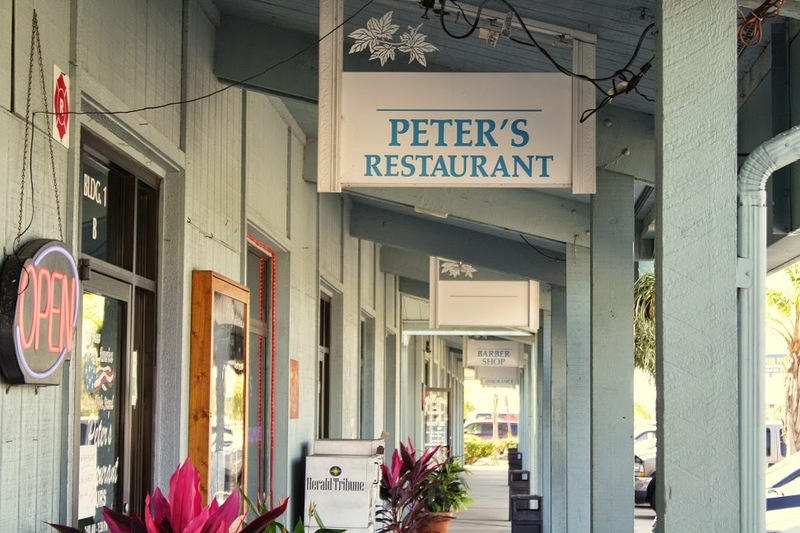 When in a new area, we always ask the locals where the locals eat, especially for breakfast and we were told that Peter’s Restaurant on our side of Port Charlotte was the place. It occupies two sections of a small strip mall and while I was expecting somewhat of a dive, it was far from it. 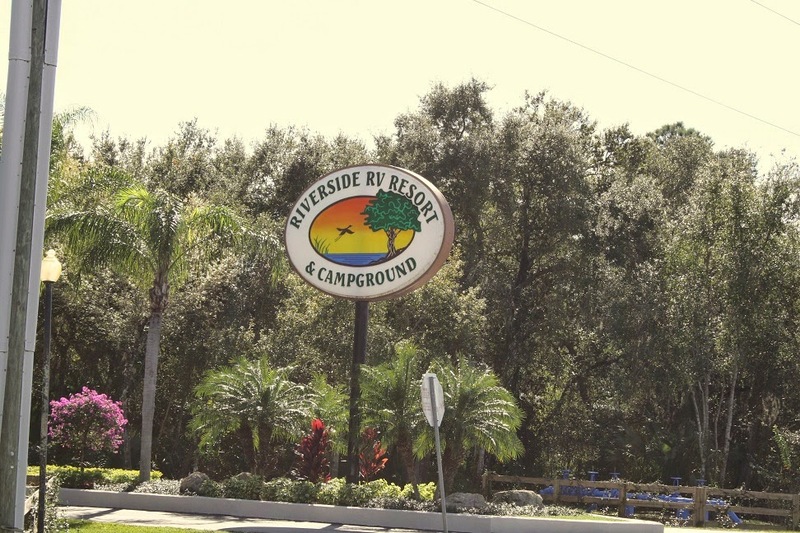 After seven nice days at Cedar Key RV Resort, we headed on down south to our next destination at Riverside RV Park just north of Port Charlotte (on Florida's west coast) and along the Peace River. It was just 220 miles so we didn’t have to be in a rush to leave and we still got in mid-afternoon. 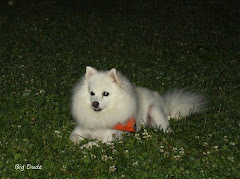 This is the entrance sign and the office/store and large pavilion - check out Sweetie in the mirror. Since this was our last day in the Cedar Key area, we ate out two meals and began stowing things at the RV for the next day’s move. 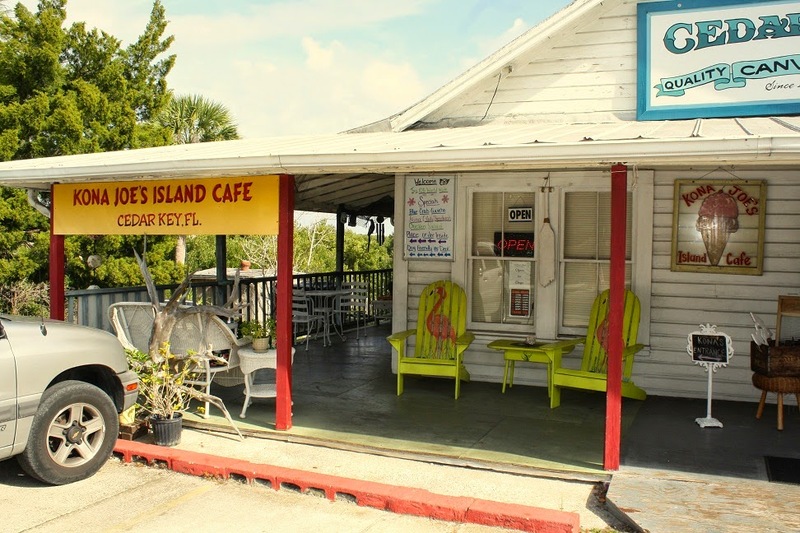 We had planned to eat breakfast in the tourist strip on Cedar Key, but unfortunately so did everyone else and the parking lots were completely full. 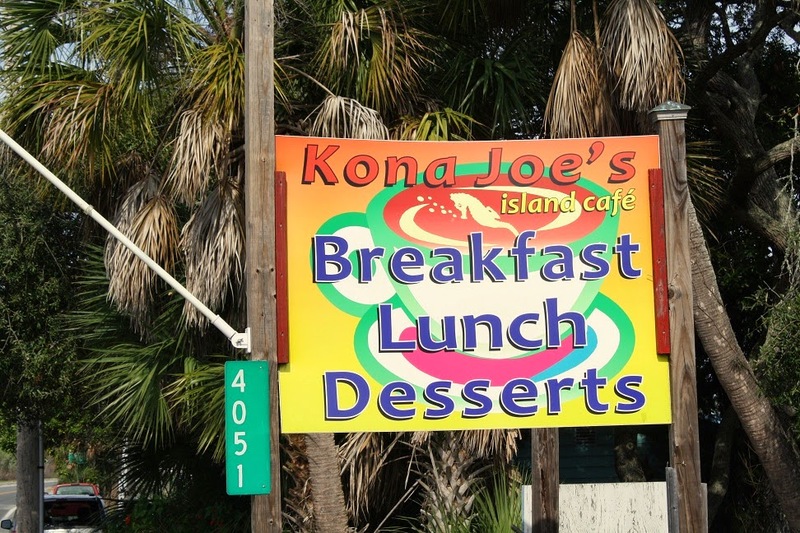 So we went back inland a ways and stopped at Kona Joes which is Trip Advisors top rated place in the area. They just have a few things for breakfast, lunch, and dessert, but they are all very good. I took no food shots, but here is one from our table out toward the water. 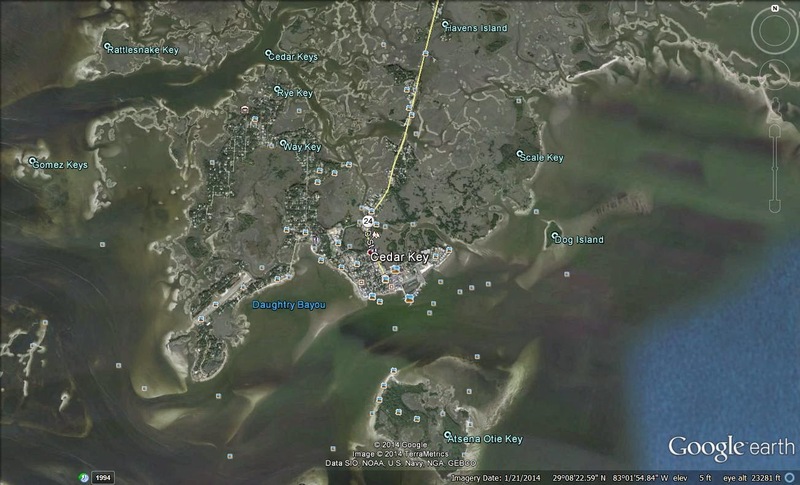 Cedar Key could be called Cedar Keys as it is composed of several islands with most development on Way Key. 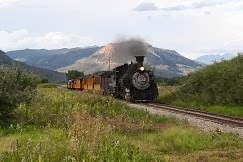 It has been inhabited for thousands of years but major settlement occurred in the mid nineteenth century when it became a major port, the cedar trees began being harvested for pencils, and mills were built by Eagle and Eberhard Faber. New Year’s Eve was cold and rainy at Cedar Key and New Year’s Day was cool with some sunny periods making both perfect for what I wanted to do during these two days – pile up in the RV, relax, and watch college football. We passed on the RV Park New Year’s Eve party, but I did take a short football watching break to do a little cooking on Jan. 1. As you will read in a future post, Cedar Key has a clam farming industry as well as oyster beds so we purchased some and while my non-clam-eating ladies went shopping, I invited our neighbors over for steamed little neck clams sided with garlic butter. It's been years since I had these tasty babies and I thoroughly enjoyed every bite so I plan to get a bag for the road. 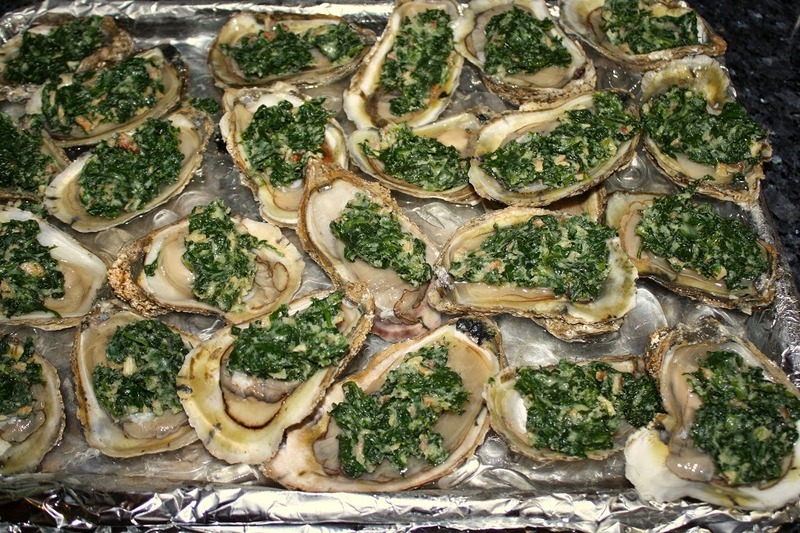 Then when the ladies got home we had some Oysters Rockefeller cooked on the grill. The clams and the oysters were both very good and I now know the difference that very fresh makes. 1. The heretofore cream of the crop, my SEC, did not do well as the top five teams in its highly touted Western Division all lost, including top ranked Alabama. The SEC's wins came from the two worst teams in the Western Division and all five of the Eastern Division teams who played in a bowl. 2. The recently maligned big 10 which was expected to lose all of their bowl games did way better including 2-1 against the SEC teams and 4th ranked Ohio State is in the Championship game after beating Bama. 3. The Big 12 had a terrible bowl season with only two wins. Of particular note to me was Baylor, whose coach was was angry at everyone and outspoken about the Big 12 being left out of the playoffs with his team being ranked 5th. As it turned out, Baylor got beat by Big 10 underdog Michigan State by giving up a 20 point lead in the fourth quarter. 4. The Pac 12 is for real. 5. While it would be hard to leave out the undefeated, defending national champion Seminoles, unless the ACC teams can show some marque non-conference wins, I believe they should get a giant demerit, even if they are undefeated. While I believe the selection committee did a good job of ranking the top twelve teams, it appears to me that Alabama, Oregon, Ohio State, and TCU should have been the top four. So let's move on to next year and let the controversy continue. If I read the maps correctly, Cedar Key is the only real development along the west coast of Florida between Hudson and around the bend that begins the panhandle. I assumed it was because it was protected land but after a closer look, it appears to be the lack of beaches. 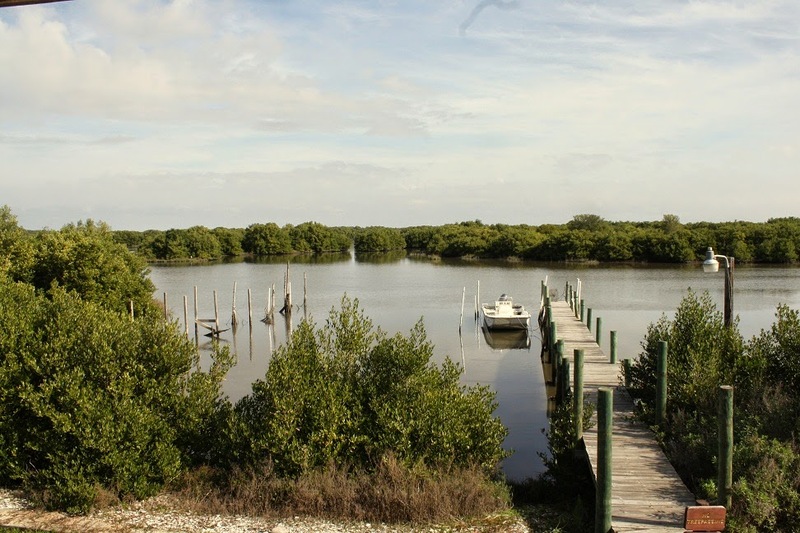 Nearly all of the beaches north of Naples are on the barrier keys that line the coast ending at Tarpon Springs. We went to Cedar key a couple of times and I’ll save that for a later post. 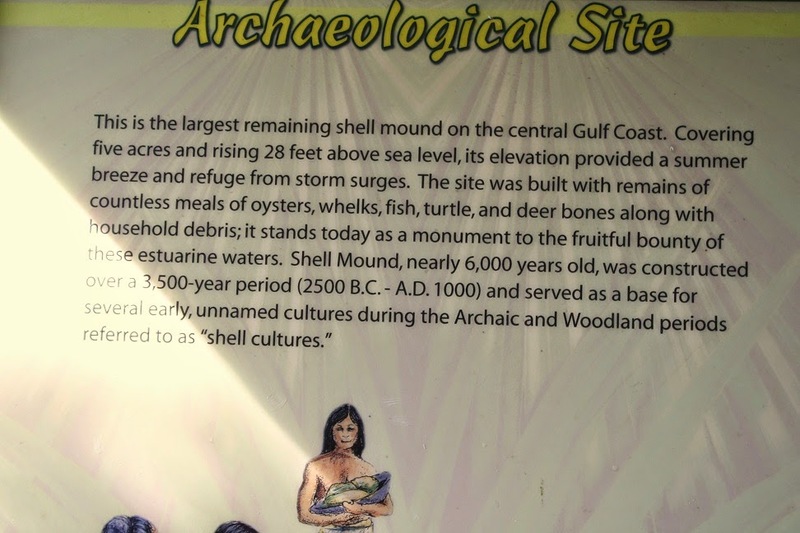 On this day, we went north of Cedar Key with the first stop being Shell Mound. As we started up the trail, we ask an oncoming group how far it was to the shell mound and they chuckled and said we were on it. As it turns out, the mound is 28 ft. tall, and covers five acres, and is the accumulation of 6000 years of shells and other bones.